The aesthetic variety on display in California makes it a destination worth revisiting again and again. 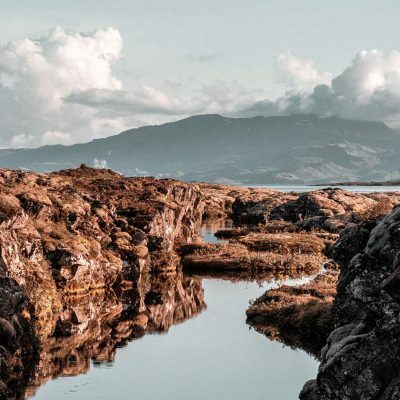 There are few other places on earth where you can experience so much cultural, environmental, and architectural diversity within a single borderless trip. If there’s any constant thread you should consider, it’s Highway 1. 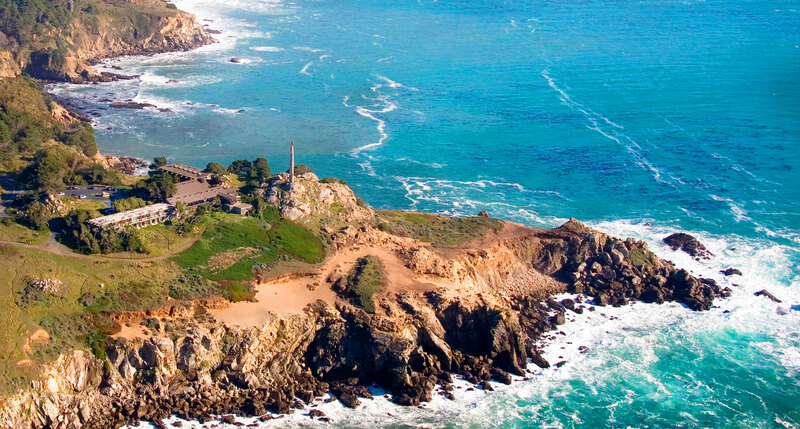 Following the coastal route as it snakes along the edge of the continent is a great way to explore the perpetual gifts the Golden State has on offer — especially if you’re a hotel fan. Finding fantastic resting points for each leg of your journey can be very easily done, starting with the lodgings below. None is too far off that famous ribbon of asphalt and, most importantly, never more than a short walk from the ocean. The southern tip of California State Route 1 begins in Dana Point, about an hour up the shoreline from San Diego, so that’s where we begin our tour. 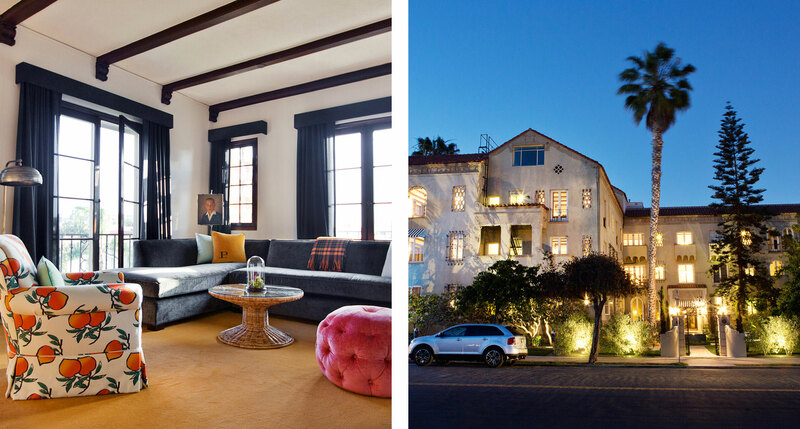 Between there and Los Angeles, you’ll find no shortage of stellar beaches, starting with Laguna, and hotels, starting with Casa Laguna Hotel & Spa, an adults-only hideaway that aims to recapture some of the town’s notable past as a sleepy little artists’ colony. 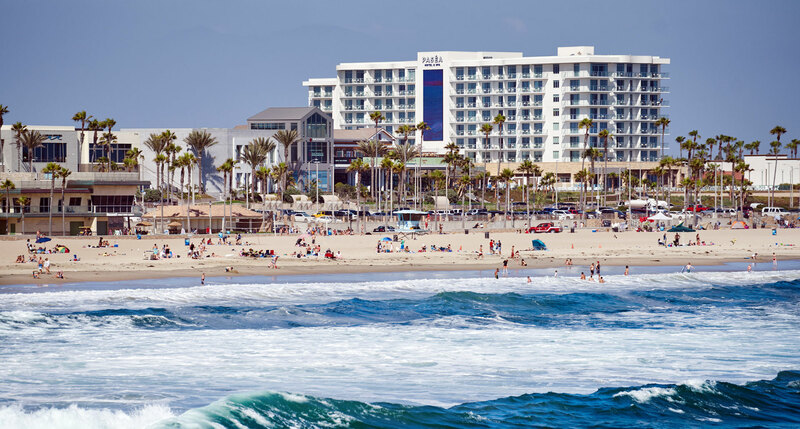 Just upcoast in Huntington Beach, Paséa Hotel & Spa proposes a slightly different feel, trading humble mission-style architecture for SoCal chic in a grand and gleaming full-service resort. 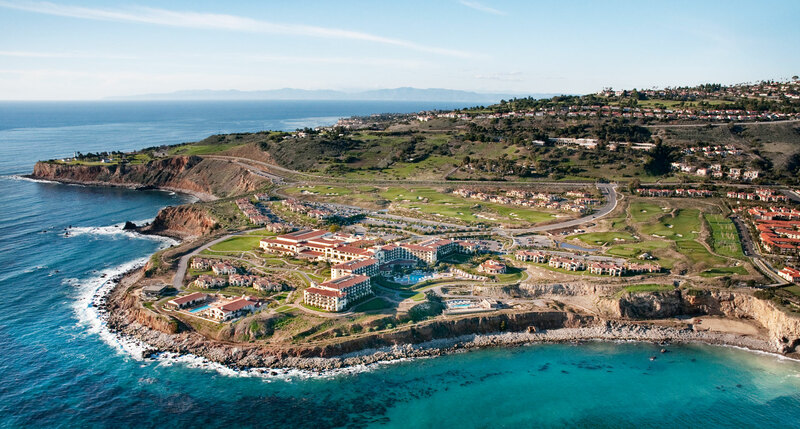 If you’re hankering for something more dramatic to start your adventure, Terranea Resort in Rancho Palos Verdes sits on 102 private acres of peninsula, surrounded by ocean on three spectacular sides, and sports some of the mainland’s best views of Catalina Island. Conversely, if you decide to push north to Los Angeles, the urban beach life of Venice makes for a lovely juxtaposition. Nowhere is that better demonstrated than by The Rose Hotel’s purposefully low-frills, effortlessly fashionable, addictively bohemian vibe. If Venice sounds too nonconformist, next-door Santa Monica is a worthy alternative. 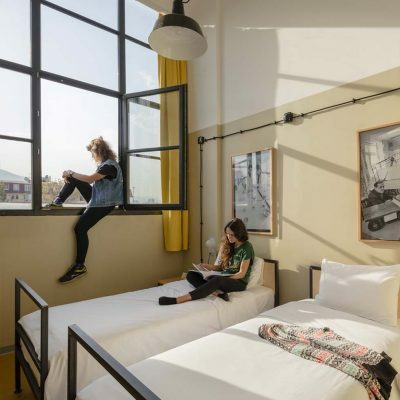 Before you completely depart the L.A. area for less-trafficked environs, you’d be remiss to not spend at least one night — or maybe a week — at Palihouse Santa Monica. 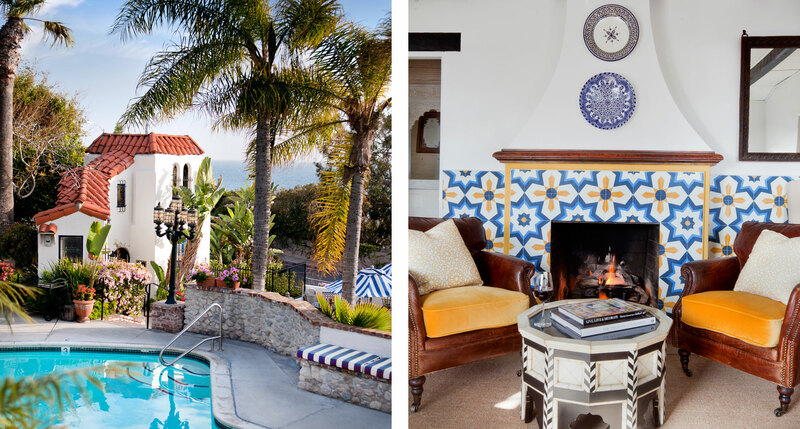 Housed in a historic 1927 Mediterranean Revival masterpiece, it’s been updated with the necessary fittings for long-stay guests, as well as Pali group’s knack for stylishly cozy interiors you’ll want to imitate in your own home. When the city is in your rearview, you’re probably in Malibu. 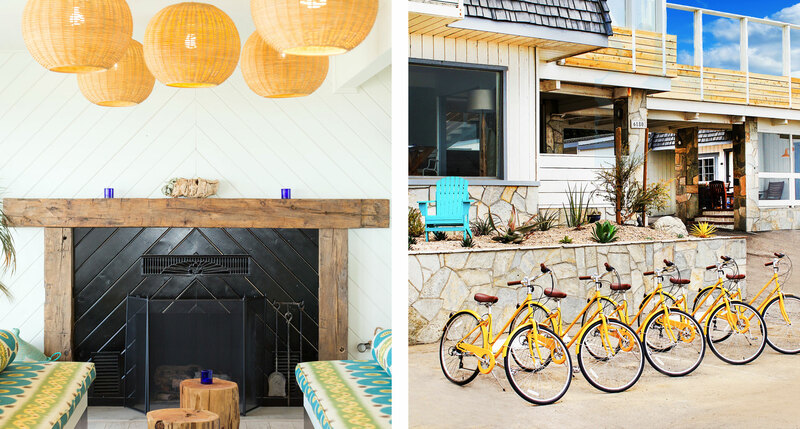 And if you’re in Malibu, your best option for a tasteful boutique hotel that matches the town’s easygoing pace is The Native Hotel. 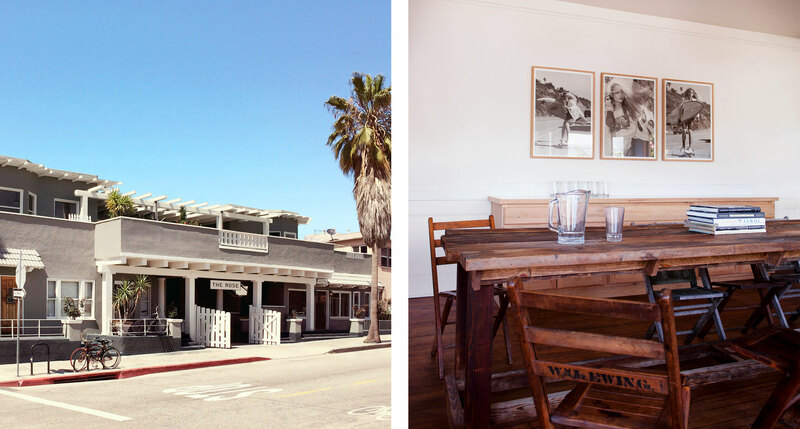 First established in 1947, this pared-down hideout has hosted the likes of James Dean and Marilyn Monroe. A recent re-imagining has preserved its reclusive charms for less deified modern visitors. 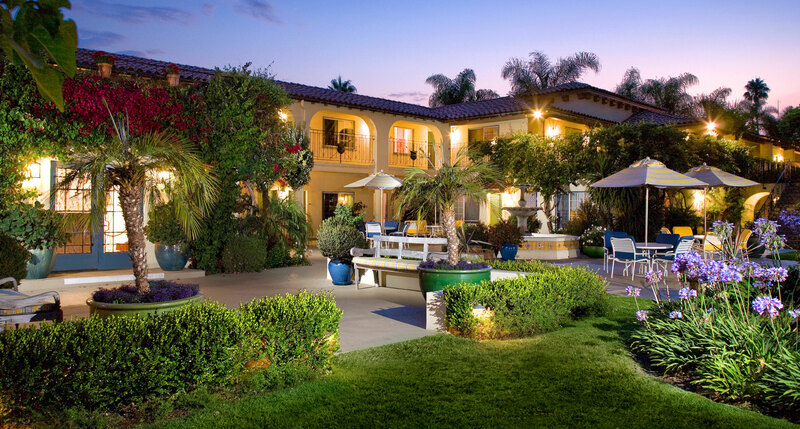 And speaking of golden ages, Hotel Milo in Santa Barbara presents an idealized vision of the California beach enclave: unhurried, untroubled, and unpretentious, all pleasant palm trees and Spanish-style villas. The Central Coast introduces a starkly different atmosphere from the oceanfront mansions and luxe beach bungalows found in Southern California. The waterfront real estate is less marred by private residences, and the surrounding beauty is more rural and serene. It’s the beginning of one of the most intoxicating stretches of shoreline on earth, and it’s exactly where you’d expect to find a hotel like Cambria Beach Lodge. 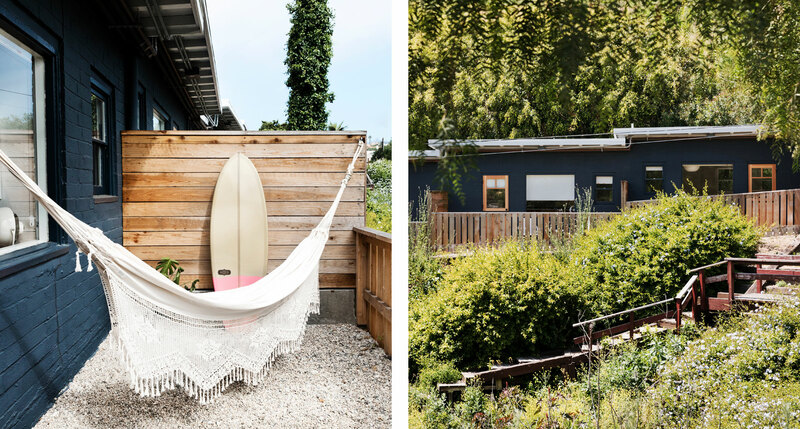 The name sums up the relaxed beach house ambience, and the owners proudly proclaim that they occupy part of the last piece of unspoiled, undiscovered beach town in central California. 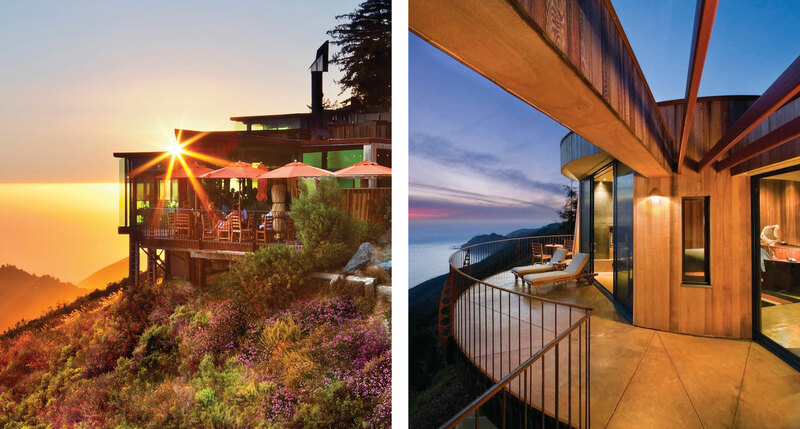 Midway through the tour we reach our apex: the life-affirming drive to Big Sur and a heaven-affirming stay at Post Ranch Inn. 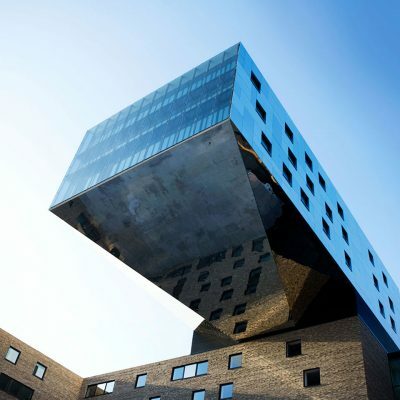 We’ve spilt gallons of virtual ink singing the praises of this hotel’s monumental design and majestic cliffside views, and all of it has been well-deserved. 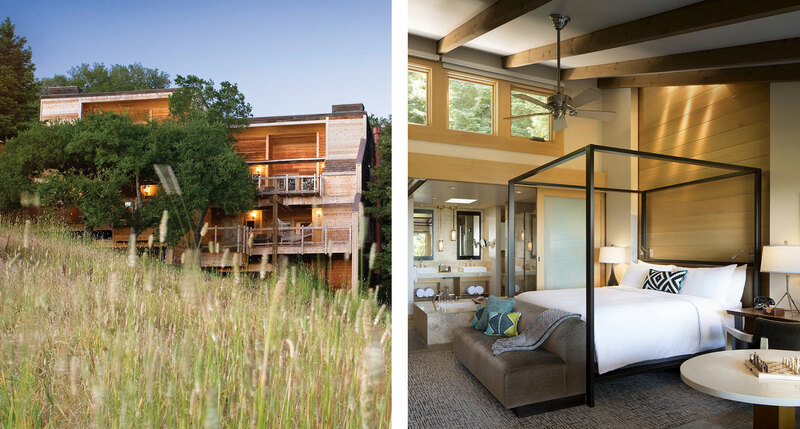 And a bit more rustic but no less splendid, Ventana Big Sur continues the standard it set as the region’s original luxury resort, and a pioneer in the soft arts of spoiling guests. In a case of thematic harmony, writer Lawrence A. Spector founded the hotel using profits from the film Easy Rider. At this point, as we exit the relative wilds of Big Sur, we wouldn’t blame you if you wanted your luxury a touch more metropolitan. Enter Monterey Plaza Hotel, the grand dame of Monterey Bay and a glittering centerpiece of historic downtown Cannery Row. 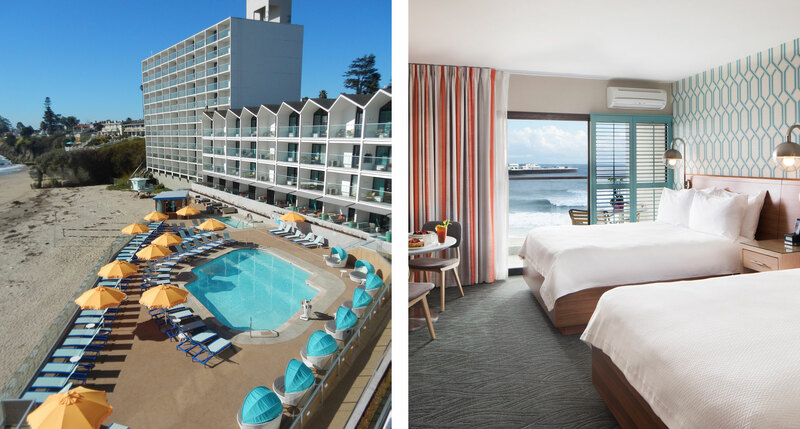 If the unpretentious surf-and-skate town of Santa Cruz is more your speed, Dream Inn’s retro-chic mid-century modern design has you covered, all with a bay-like beachfront location just off the west end of the boardwalk. 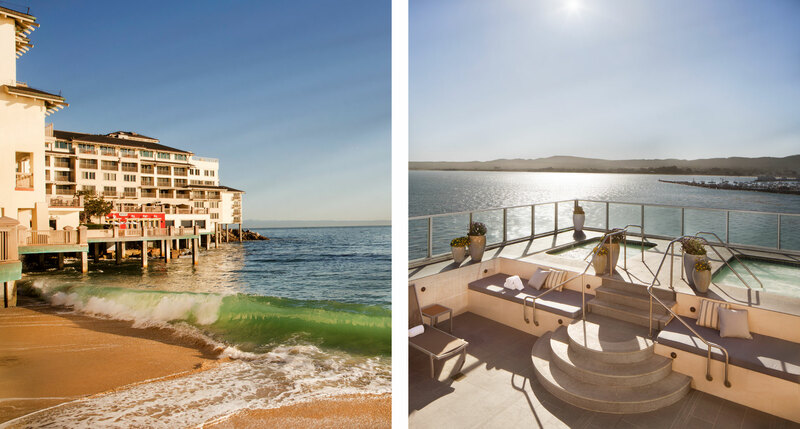 As we crawl closer to the bustle of the Bay Area, there’s time to stop and enjoy the low-key coastal leisure and beach cottage feel of Beach House Half Moon Bay. After a morning surfing the swells at Mavericks, unwind with your room’s fireplace and your balcony’s unforgettable sunset view. 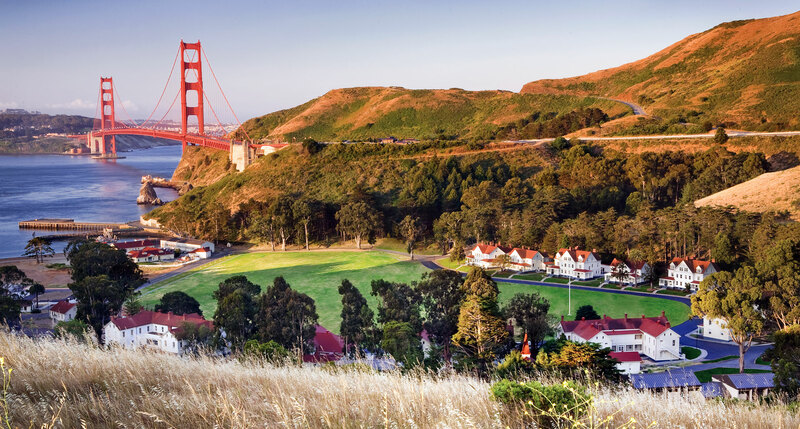 And if you want to see all of San Francisco, literally, Cavallo Point Lodge has the perfect vantage point across the bay. Part of the spectacular Marin Headlands park, this collection of restored homes provides an unbeatable panorama from above the city. Up in the counties of Napa, Sonoma, and Mendocino there’s a quality of life that some — including the CEO of this very website — would argue is among the best in the world. 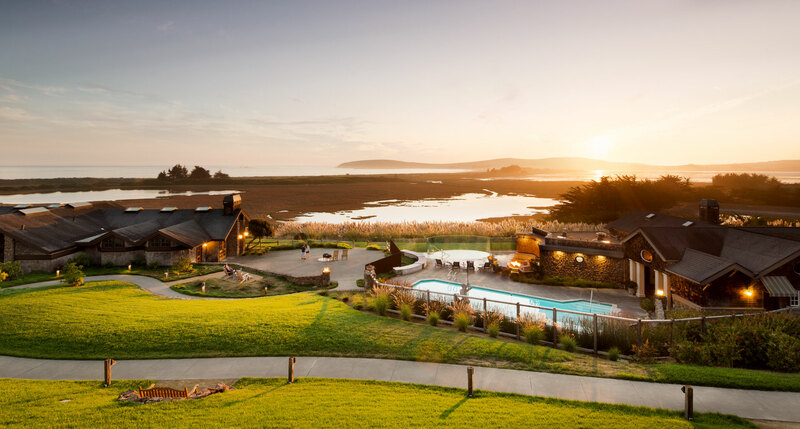 If you find yourself agreeing, and you want the full regional experience while keeping the ocean in sight and San Francisco just a short drive away, then the abundant accommodations, activities, and beachfront wildlife of the Bodega Bay Lodge are right for you. If you get bored here, lose our number. Further on up the coast and further removed from civilization, Timber Cove Resort leaves the trappings of city life behind. Built of native redwood and stone, it was originally conceived as a meditation lodge. A recent renovation leaves it more rustic-chic than rustic, but cell service remains blissfully spotty. And finally, a breathtaking two hours from there, we reach our northern terminus at The Heritage House. 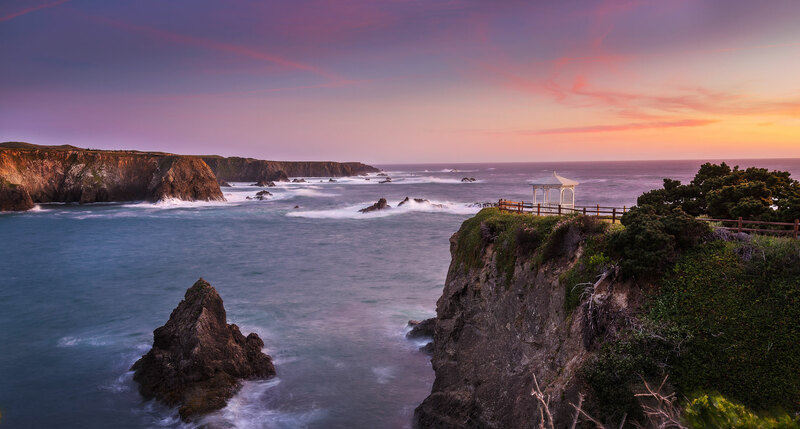 They’ve welcomed guests at this timeless resort for more than 100 years — no surprise when you consider this picturesque jewel occupies 37 acres of unspoiled coastal clifftop that’s only a short drive from the Victorian village of Mendocino. This was amazing. I don’t recall ever seeing stories like this on your site. Article wpuld have been even better if it including itineraries: 5 day trip, 7 day, 10 day and 2 weeks. My wife and I did this drive starting in SDiego (del coronado hotel) and drove to LA. Took 7 days tsking our time. La Jolla was her favorite town. Mine was the tiny beach towns you go through on route. Thanks Dean. We’ll be soon be turning stories like this into Staylists that will be available on our iOS App so you can save them as your own. What an exceptional article and the timing was so fitting for us! We’re east coasters, heading out to California this week and will be taking our time exploring the coast between LA and San Diego. Thanks for covering the raw beauty of some of the world’s most gorgeous coastline! I loved this. Your CEO is right, by the way! California wine country is boss :). As a native LA girl I appreciate this article as much as any traveling tourist would also. It’s a beautiful guide that allows me to rediscover home over and over again. Living, working, and playing in the hustle and bustle of Southern California can often times make us unaware of just how beautiful & unique the state of California really is. Thank you! When you reach the stop light at the bottom of the hill in Half Moon Bay, look over to the ocean. I saw three whales while waiting for the light to change. While I haven’t been to Carmel in a long long time, I am surprised that you do not think this beautiful town (at least in my memory) is not worthy of a mention. 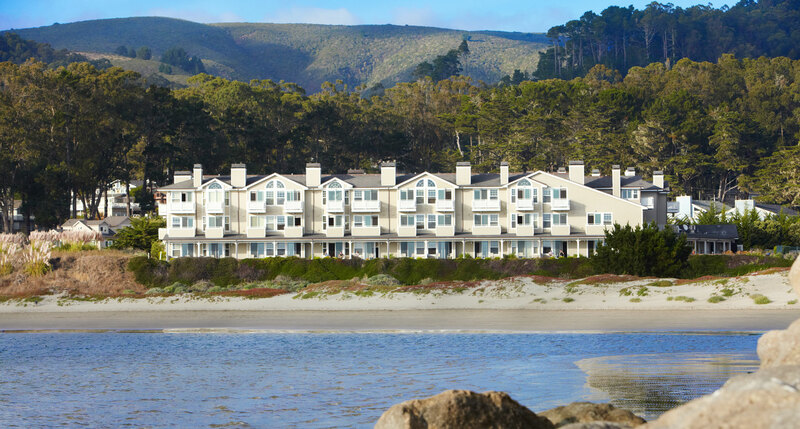 What about Carmel by the Sea as another reader has mentioned?